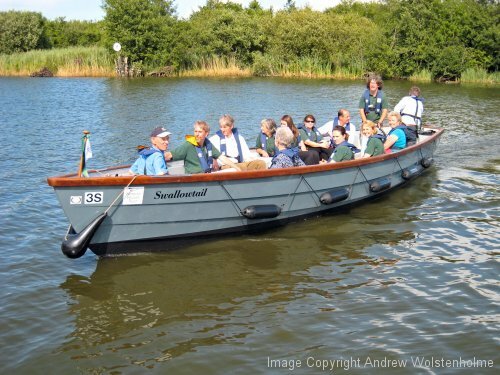 The Aqua X-Plore 870 was developed by Goodchild Marine in 2009 to meet the requirements of the Norfolk Wildlife Trust for two boats for taking groups of up to 12 people on educational trips on Ranworth and Hickling Broads. This shallow draft design is powered by a Torqeedo Cruise 2.0kW electric outboard and has 7 hours duration at her maximum loaded speed of 6.5knots. The first boat was displayed at the Seawork workboat show in June where she generated considerable interest.